When a title company is asked to issue a loan policy insuring the priority of a construction mortgage, it is important to consider whether any mechanic or material man’s lien will be recorded against the subject property which could affect the priority of the insured mortgage. The reason is that even though a lien may be recorded after the recordation of the insured mortgage, the mechanic’s or materialman’s lien may still have priority if the work of improvement commenced prior to the recordation of the insured mortgage. A mechanic’s or materialman’s lien is said to attach to a specific parcel of real estate, and be created at the time of the initial contribution of the labor or materials that is the subject of the lien, though the action to perfect and enforce the lien may not be brought until six months later. Once the verified statement of lien is filed in the probate court and all other steps are taken to perfect and enforce the lien, the lien is said to relate back and have priority over all subsequently created liens. However, unless there is an adjudication of priority by the court, the lien has no value. Once a judicial determination is made that the lien claimant has priority, then the mortgage priority is lost to that particular claimant but not as to the entire project. 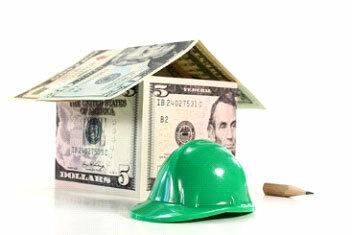 Each lien claimant incepts his own lien with proper notice. See Code of Alabama 35-11-210 (1975). Likewise, future advances under a mortgage may or may not have priority over subsequently recorded mechanic or material man’s liens depending on whether the advance is determined to be obligatory or optional. Alabama makes a distinction between obligatory and optional advances in mortgages with future advance clauses. Depending on the type of advance, this could affect lien priority in very different ways. If the advance is “optional” it will not be given priority over subsequent liens even when the senior lien holder has notice of the junior lien. Obligatory disbursements however, made in good faith even with actual notice of an intervening lien, maintains priority of the mortgage when filed. Additionally, optional advances are subject to a loss of priority to intervening liens if the mortgagee has actual knowledge of them; “constructive notice under the recording statutes in deemed insufficient, and the mortgagee must have actual knowledge of the intervening encumbrance before the priority of a future advance is denied.” When looking to extend coverage for future advances under a mortgage, a pending disbursement clause is typically used. When determining whether to issue a lender’s policy of title insurance on a construction mortgage, the customary requirements for a one-to-four family residential residence, which the title company will typically request, is a standard lien waiver when no liens have been filed against the property at time of closing the permanent or “end” loan. On large commercial projects however, an inspection of the property in question (with pictures) is usually undertaken to determine if there are any signs of commencement of “visible” construction. If construction has commenced then the General Contractor, Original Contractors and Subcontractors are required to execute a subordination agreement as to any work performed or labor furnished prior to execution and recording of the mortgage. If no work has commenced then an affidavit is secured from both the General Contractor and owner that no work has commenced or material furnished for and lien waivers secured at closing. Since mechanic’s liens can gain priority over an insured mortgage, a title company needs to undertake special due diligence to make certain that no work of improvement commenced prior to the recordation of the insured mortgage. This is because if work of improvement has commenced, and there is now an arguable break in priority, the title company will likely need to secure appropriate lien waivers and/or indemnities before it will feel comfortable enough to issue affirmative mechanic’s or materialman’s lien coverage. Further, if the title company is handling the disbursements, it may also issue a pending disbursement endorsement to the title policy extending coverage for mechanics liens through the date of the disbursement, but no further. The pending disbursement clause clarifies that coverage for mechanics liens is available only through the date provided by these endorsements. Ultimately though, the decision rests with the agent’s title insurance underwriter who may require additional information and/or security from the lender in order to extend the desired coverage. Reli Title is Alabama’s largest title company. We are also licensed in Tennessee and in Florida through our affiliate, Reli Title, LLC. If you would like more information about our title and settlement products and services, please visit our website at https://reli.us/index.html, or give us a call today at 205.970.2200.